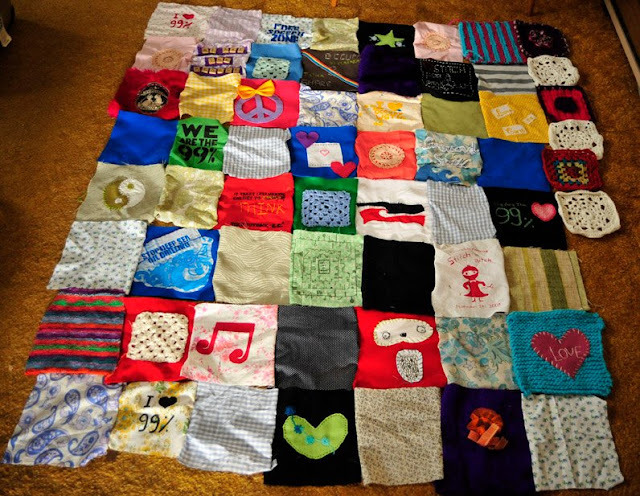 I wanted to share with you all how amazing our Giant Occupy Blanket is starting to look! Today's Workshop at Occupy Wellington was beautiful times shared with amazing people, I will post photos of it soon! We are really pleased that the plans for the Blankets travels are coming together and we will be announcing the preliminary destinations soon. Meanwhile if you would like to host a workshop with the blanket in your city, then please contact us! For those of you who have not yet added a patch, you still have time. You can find the details by clicking here.